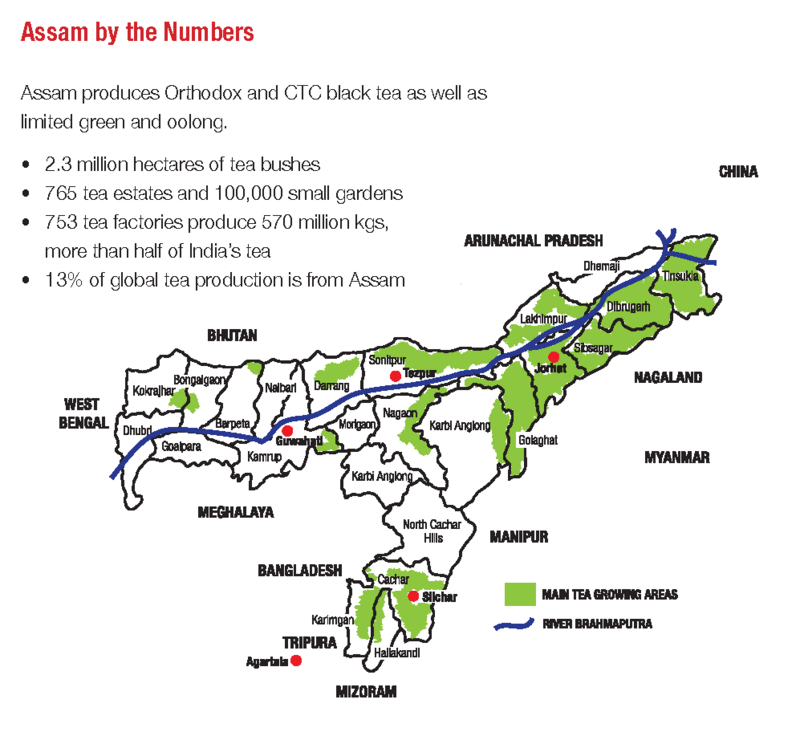 There are 765 tea estates in Assam and more than 100,000 smaller gardens that together produce 570 million kilos of tea annually, more than half the tea consumed by India and 13 percent of global tea production. In the past few years several of these estates began growing specialty tea for export as single-origin, loose-leaf tea. Today, many teas are hand processed as green tea, white tea and even Oolong. These teas are getting a good price at auction and becoming more widely available through U.S. and Canadian suppliers.